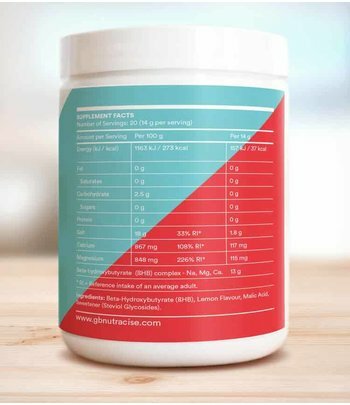 GoKeto Exogenous Ketones βHB is a supplement for exogenous ketones, with beta-hydroxybutyrate as ketone salt. At least 11 g of BHB per serving. With natural lemon flavour and stevia. Available in 140 g or 280 g pack. 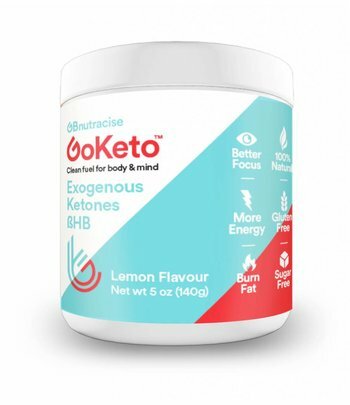 What is GBnutracise GoKeto Exogenous Ketones βHB? GoKeto Exogenous Ketones βHB contains the ketone body beta-hydroxybutyrate (βHB) in sodium, magnesium and calcium salt form. One portion contains at least 11 grams of βHB. GoKeto Exogenous Ketones βHB contains natural flavourings and sweeteners, is lactose-free and contains no animal products or preservatives. The ketone salt has a long shelf life due to its powder form. 11 grams of beta-hydroxybutyrate per serving of 14 grams. Dissolves well in cold water, shakes or other drinks. Ideal for sports, for instance as substitute of your sports drink. 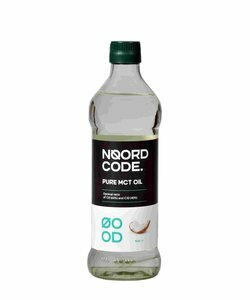 All the advantages of βHB without having to be in ketosis yourself. Slightly sweet lemon flavour by natural flavours and stevia. Mix 1 scoop (14 g) with 200 mL of water or a shake and stir vigorously. You can take GBnutracise GoKeto Ketone BHB before or between meals, on an empty stomach or before training for extra energy. Do not take more than 3 servings per day due to the high amount of salt and minerals. 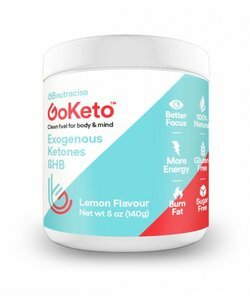 One package of GBnutracise GoKeto Ketone BHB contains 140g (for 10 servings) or 280g (for 20 servings). 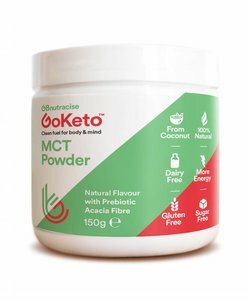 GBNutracise GoKeto Ketone BHB is a food supplement from the category ketone salt and is no replacement for a healthy and balanced diet and/or lifestyle. Do not use if the packaging seal is damaged at purchase. are under treatment for a medical condition. are younger than 18 years of age.